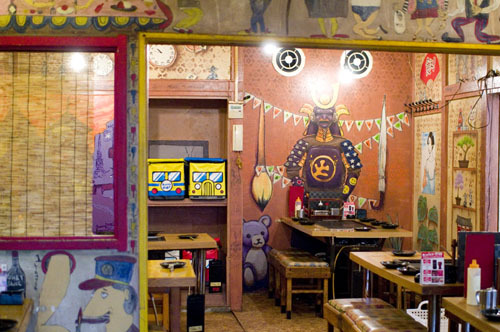 Attached to an experimental art gallery called Design Festa, Sakuratei is definitely the most artsy okonomiyaki shop in town, and it attracts a young Bohemian-leaning crowd. 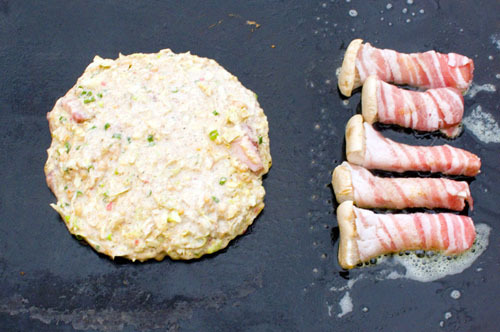 The menu offers some fifteen variations on Osaka-style okonomiyaki as well as Tokyo-style monjayaki, yakisoba, and yaki-udon noodles. 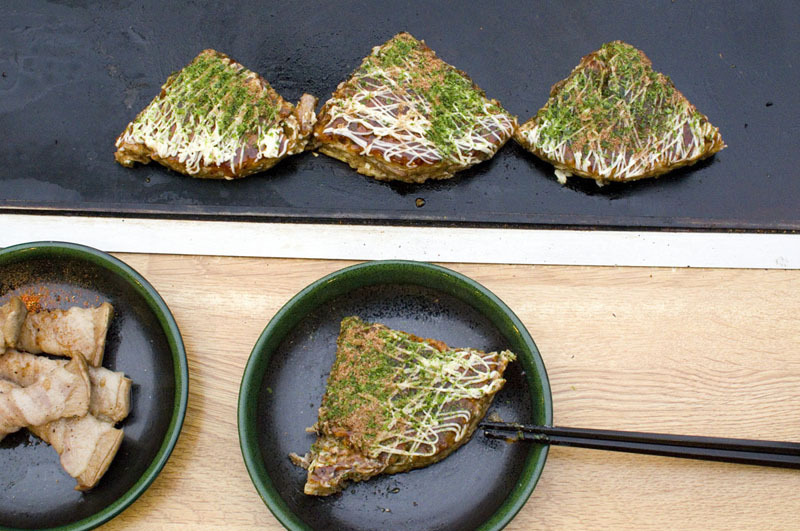 The Kurobuta Okonomiyaki is studded with nice big chunks of Berkshire pork, and the pancake batter is made with water that was used for cooking soba noodles at a nearby soba shop. There are numerous side dishes from the teppan grill like home-made bacon and seasonal vegetables, and for dessert you can choose from five types of gelato or Taiwanese-style mango kakigori (shaved ice).